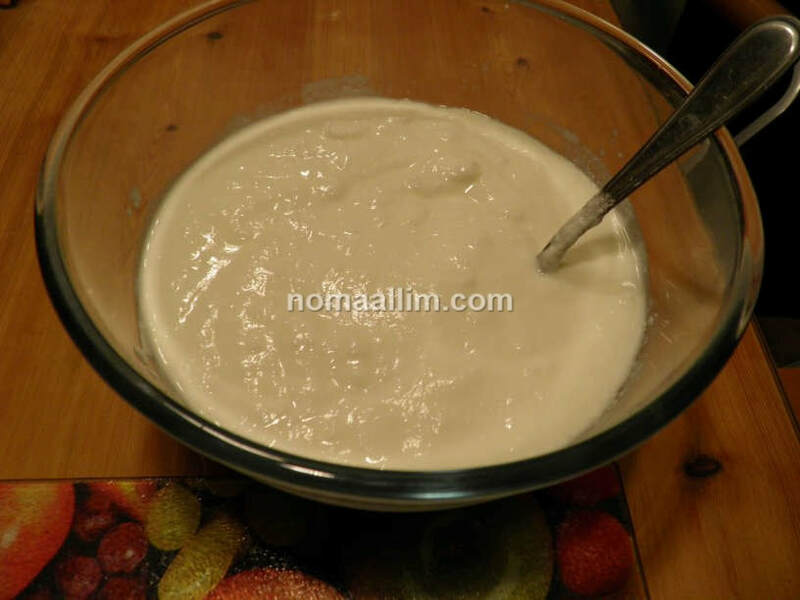 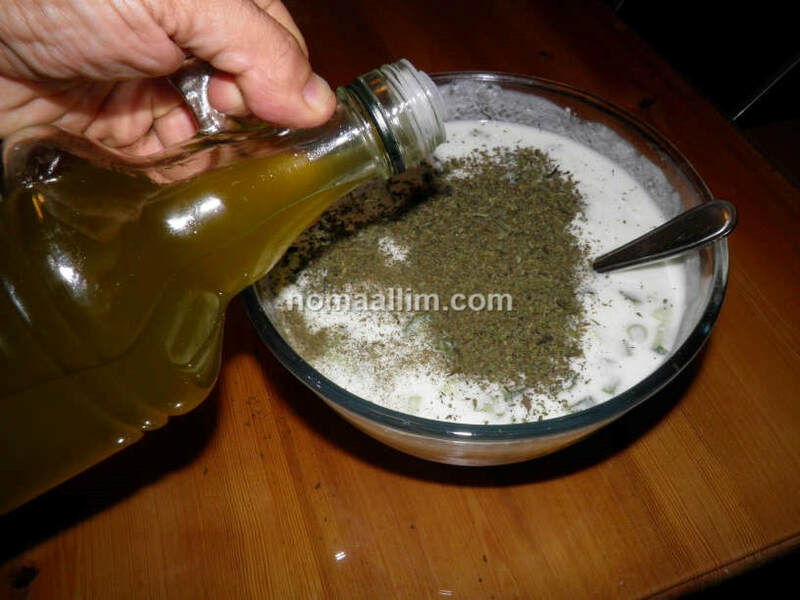 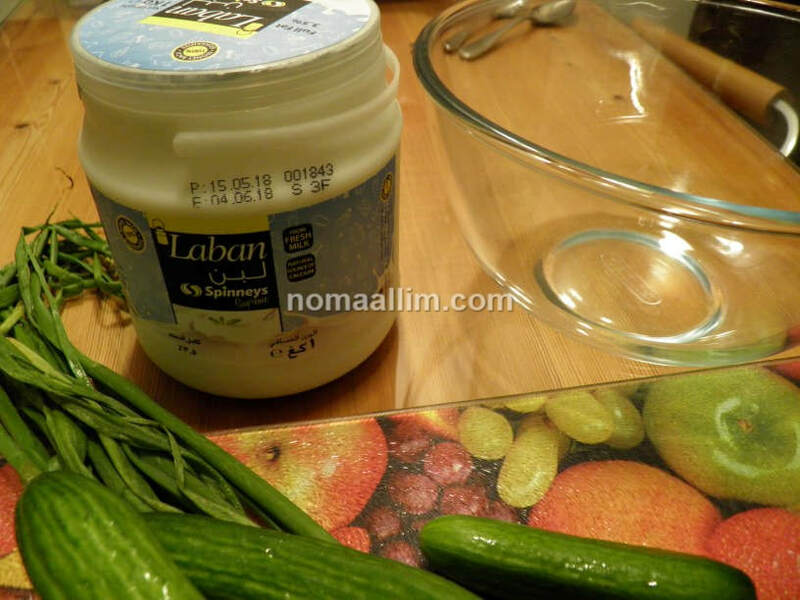 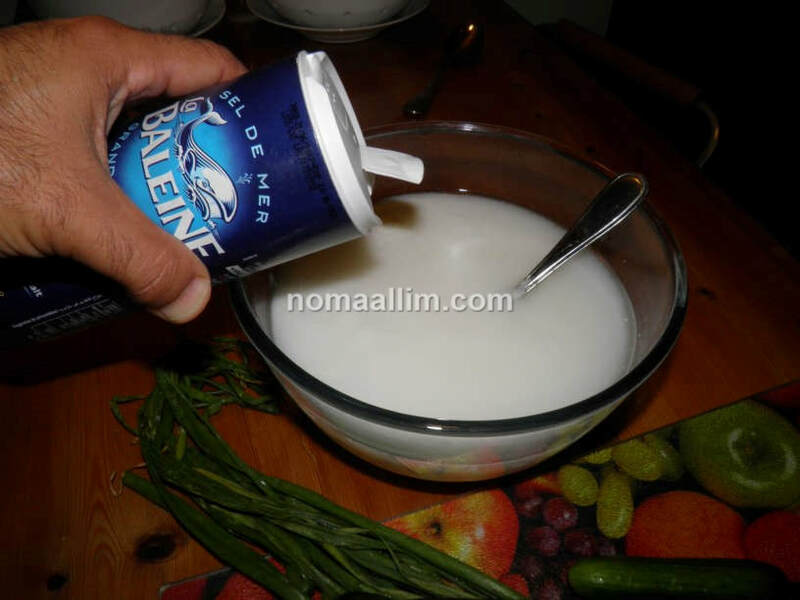 Empty the Lebanese yogurt into the glass bowl. Add the water, salt and mix well until homogeneously diluted. 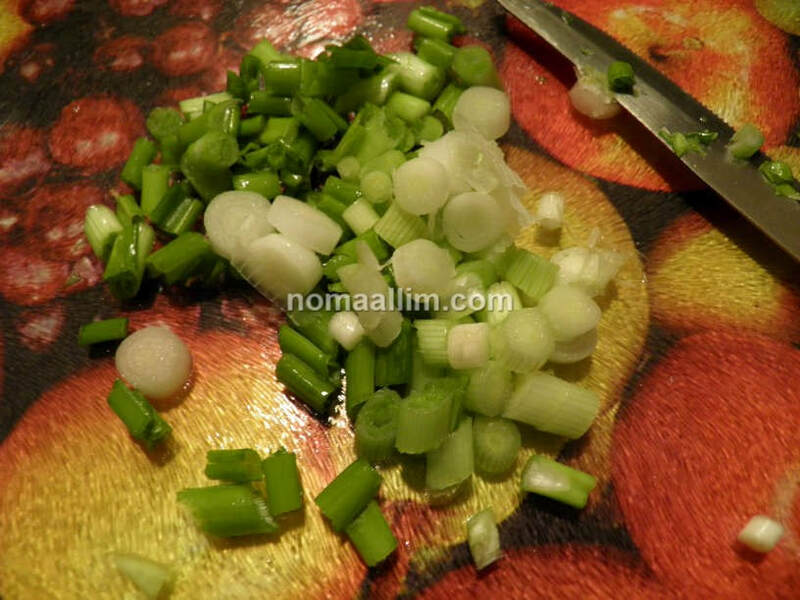 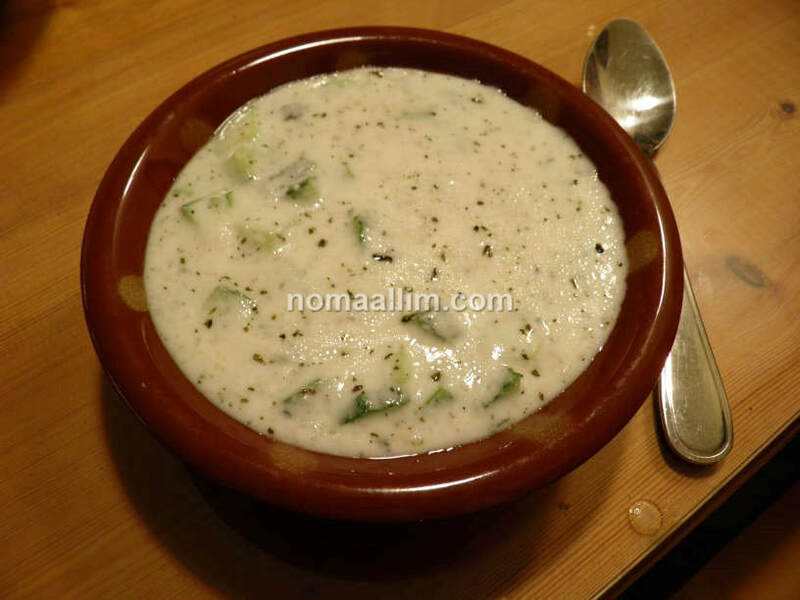 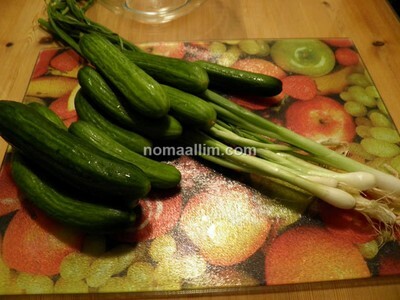 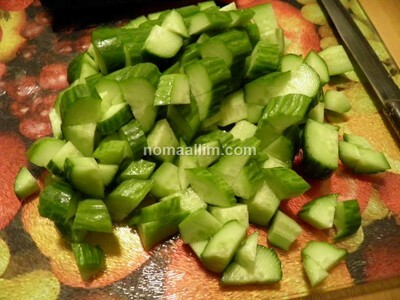 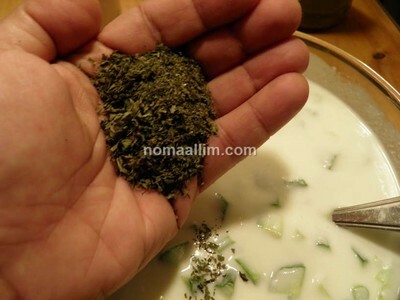 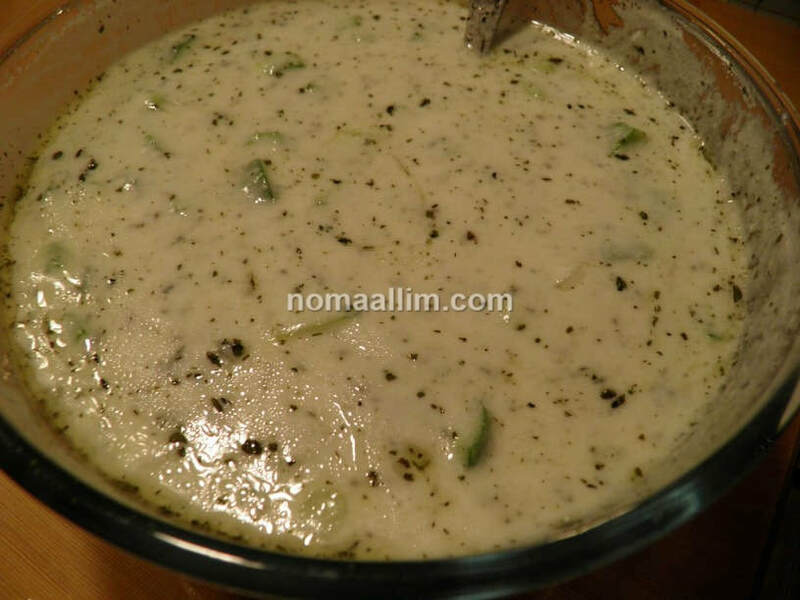 Cut the cucumber and green onion as shown below and add them to the yogurt. 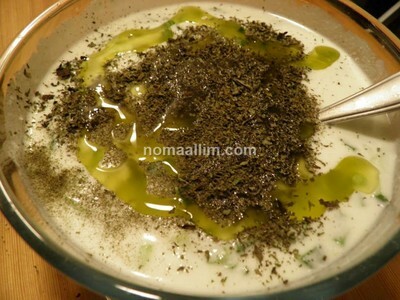 Add also the dried mint leaves. 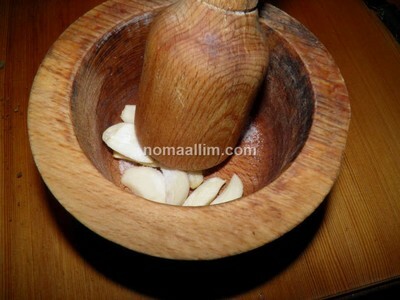 Crush the garlic cloves as small as you can and add them to the mix along with the olive oil. Serve in traditional Lebanese Mezze bowls.